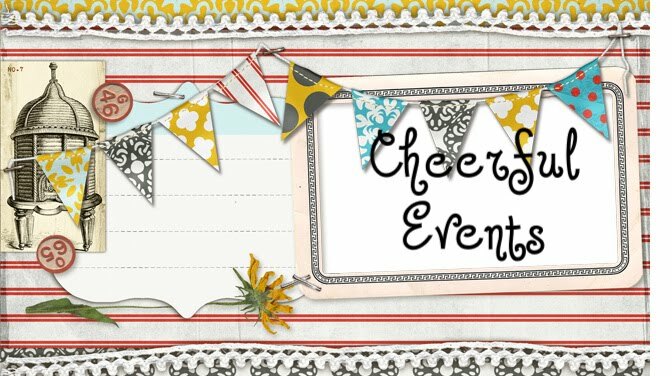 Cheerful Events: Jaina's 4th Birthday! On October 10th I got to play hostess for my great niece Jaina's 4th birthday party. I think this picture speaks for itself, she was so happy and excited to spend the day celebrating and to have her little friends there! It has been a while since we have been around so many little ones...too cute! We set up a mini Pumpkin Carnival in the backyard with some fun little games to play and prizes. It was an old fashioned halloween fall party birthday theme at Melody's request. Jaina wore a baby jaguar costume! Her baby brother Gavin did not appreciate the quick mustache disguise that his Auntie Becky stuck on him....but Becky did! Playing with Jaina and her new toys provided hours of entertainment for the adults too. 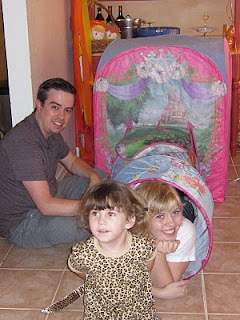 Especially this pop up playhouse and tunnel that her Grandma Pam got her! Lots of sugary fun for all!